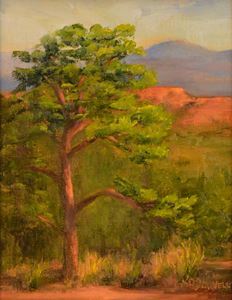 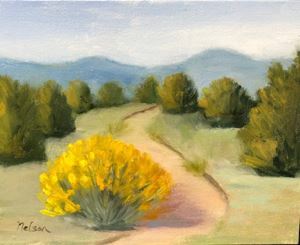 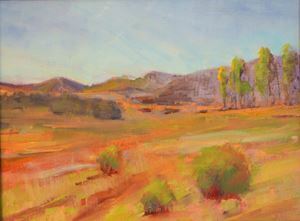 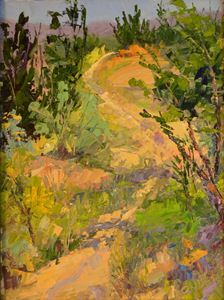 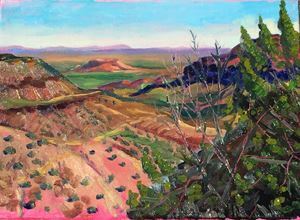 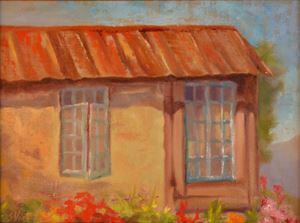 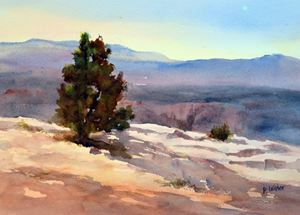 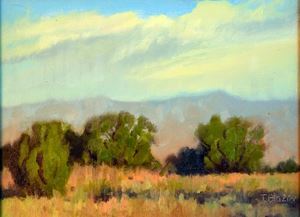 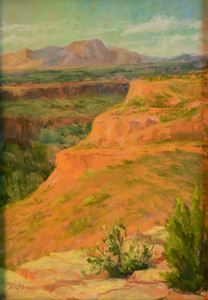 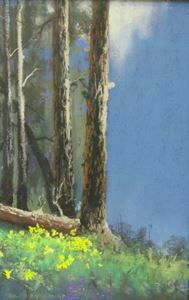 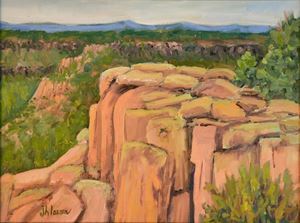 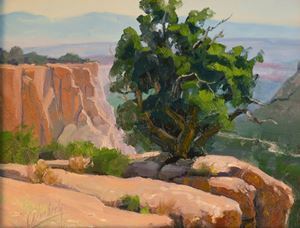 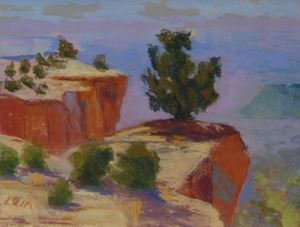 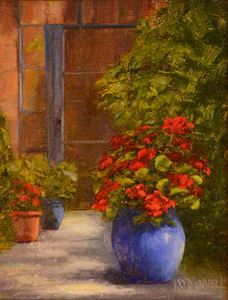 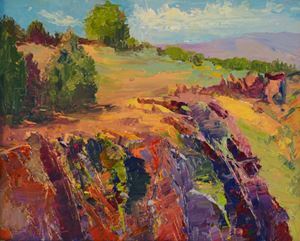 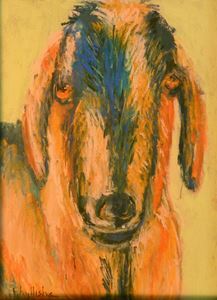 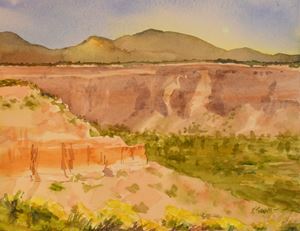 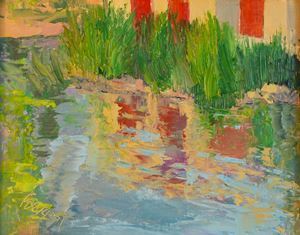 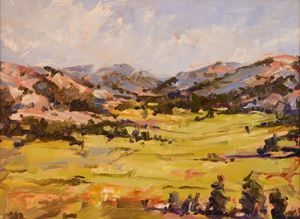 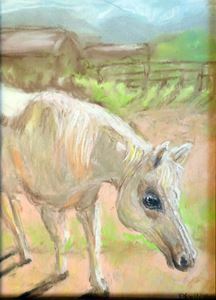 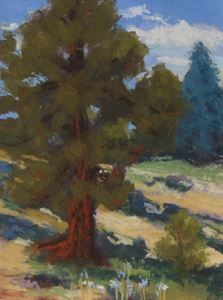 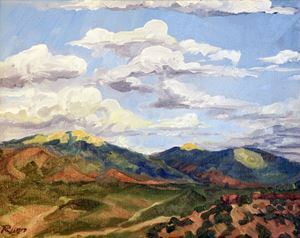 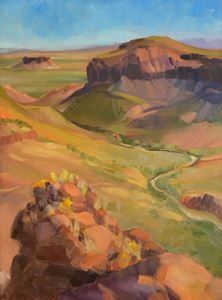 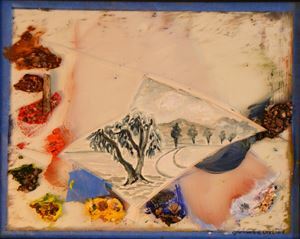 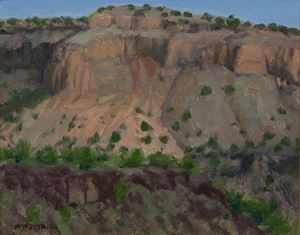 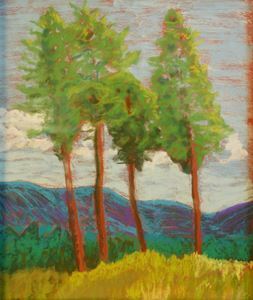 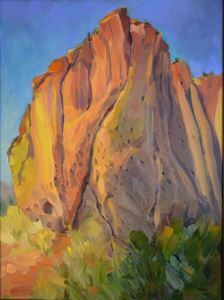 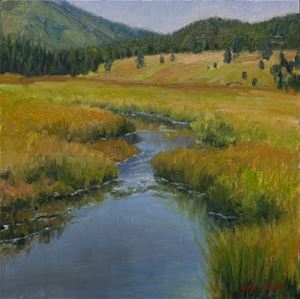 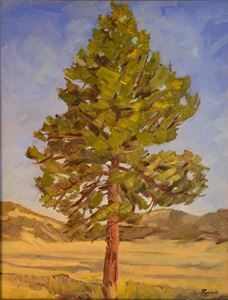 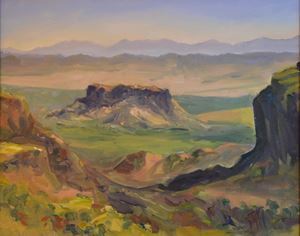 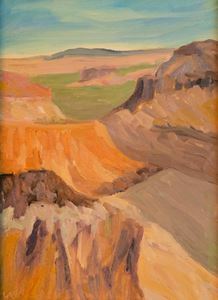 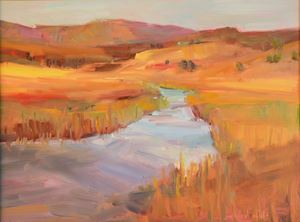 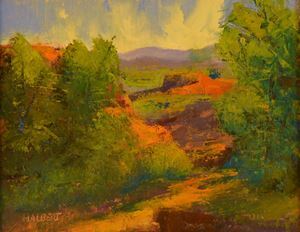 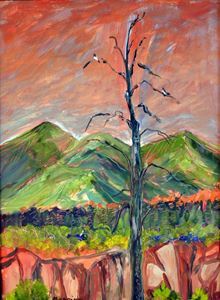 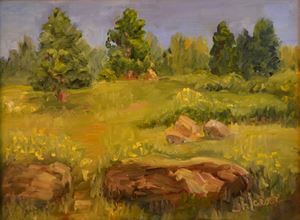 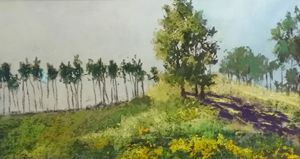 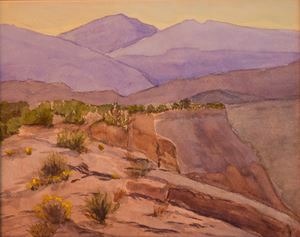 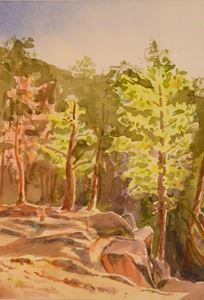 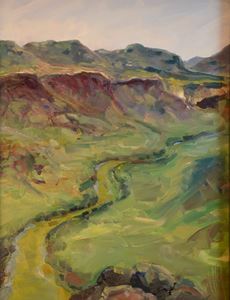 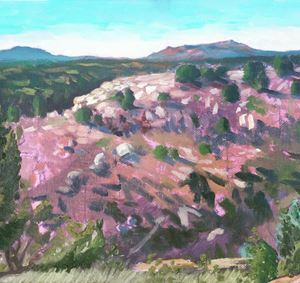 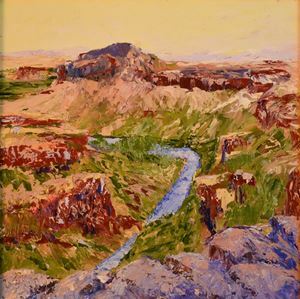 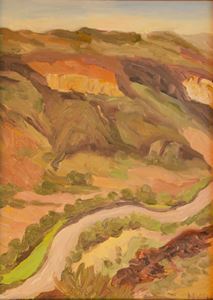 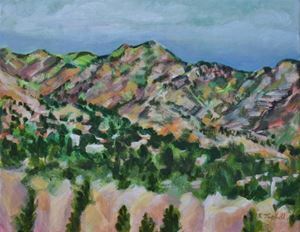 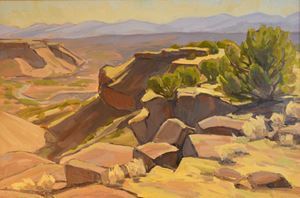 Paintings are exhibited at the Fuller Arts Center (http://www.fullerlodgeartcenter.com) in Los Alamos through Oct 6. 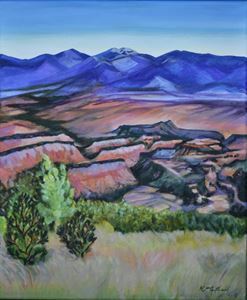 Hover over image to see artist (last-first) and title. 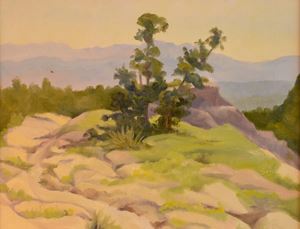 Select to enlarge. 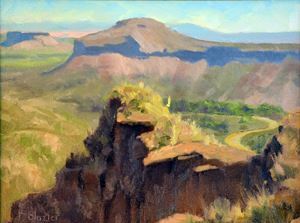 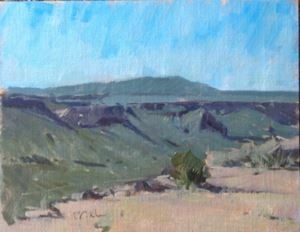 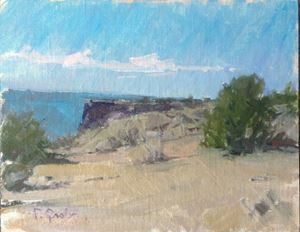 Halbert, Karen, Toward the Sangres, 8x16, oil.